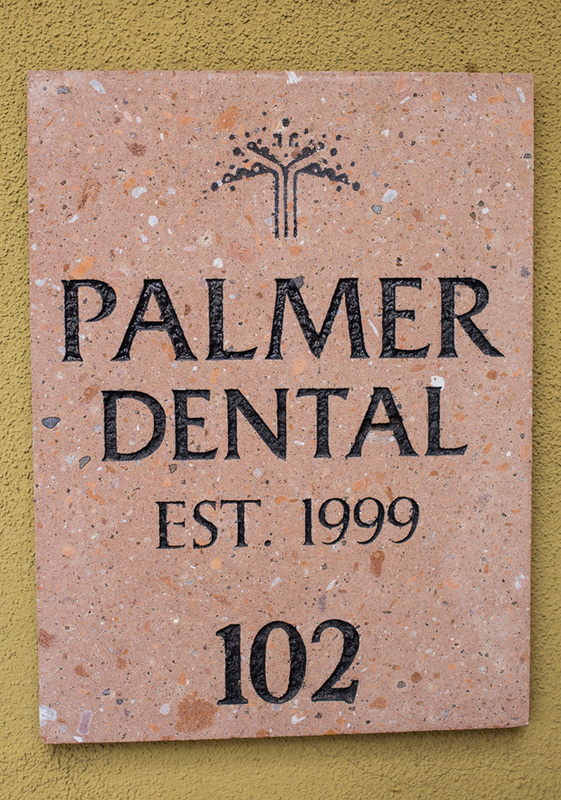 As a Doctor of Dental Surgery who graduated in 1995 and founded this dental facility in 1999, Dr. Palmer has years of expertise and experience helping our patients enhance their smiles! His reputation has been built on the highest level of dental care. Our goal is for you and your family to have optimal oral health for a lifetime. Finding a dentist in your area that is best suited to meet the dental care needs of you and your family is important. We will be pleased to discuss your options so that you can make an informed decision about dental procedures to maintain optimal oral health for your entire family. We are extremely pleased to serve entire families with gentle dental care. In fact, our friendly environment and exceptionally gentle care by all team members is a welcoming invitation to those who suffer dental anxiety! We also have our own on-site dedicated modern laboratory that provides rapid turn-around and the highest quality dental work. For optimal patient wellbeing, we employ the most stringent health safety and sterilization standards throughout our entire practice. As a patient-centered practice with comprehensive treatment for the entire family, we welcome your inquiries. Better yet, call us to schedule an appointment! We are strong proponents of preventative dental care for the entire family to keep teeth healthy and free from infection, disease and abnormal pathologies. If you have a family member in need of cosmetic or restorative dental procedures, such as teeth whitening, dental veneers, crowns or bridges, dental implants, or even fabrication of dentures, we invite you to schedule a consultation to learn more. In an effort to avoid dental problems such as periodontal disease that can lead to loss of otherwise healthy teeth, we recommend regular therapeutic and preventative care dentistry screenings and evaluations.